I’m in a beautiful little village called Cannobio which is situated just by the Maggiore lake. I’m here for the Sting concert but also for the lovely italian food. This pasta “Spaghetti Vongole” with garlic, olive oil and parsley has got to be one of my favourite pasta dishes. I always order (as I’m sure all of my friends know) extra ingredients with my dishes when I go out to restaurants, and also for this one I ordered extra chili. It was delicious! Another new favourite is the “white pizza”, a super thin crust pizza without any tomato sauce, here with buffala mozzarella, cherry tomatoes and basil oil. Along with some carpaccio and red wine from Piemonte – Barbera D’Alba Scarrone… -makes this my kind of dinner!! Wonder Malin with a blogg! 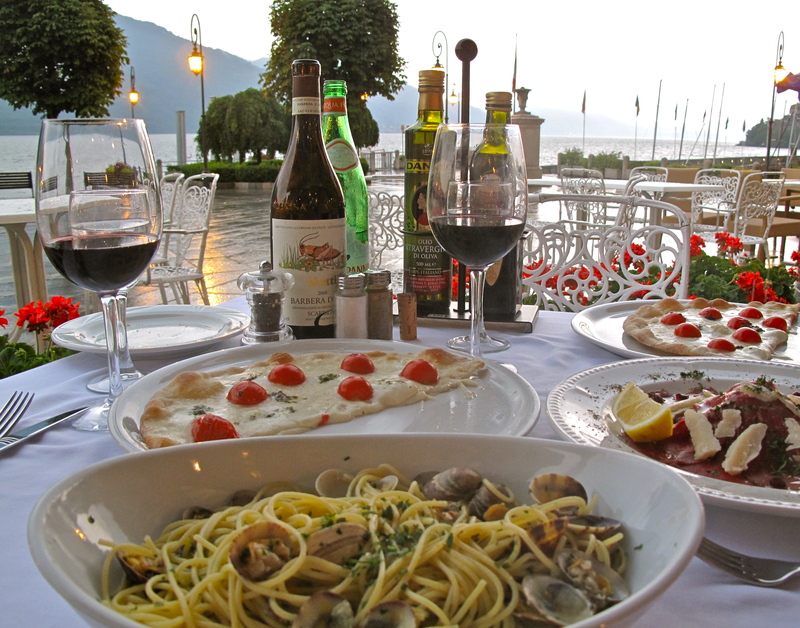 🙂 Love lago di Maggiore and vongole but not the pizza without tomato sauce but what is nice … the taste is different.